ELLEELLELLE: It's here! 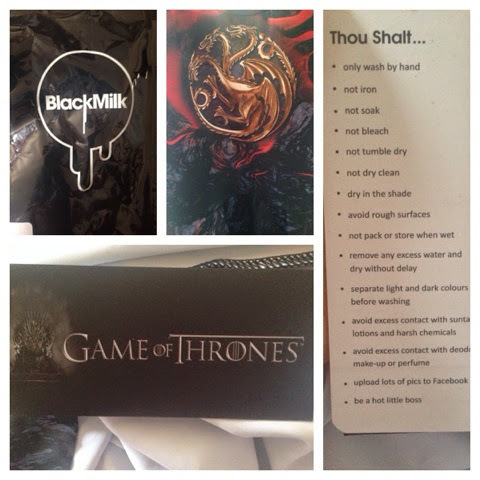 Black milk!! 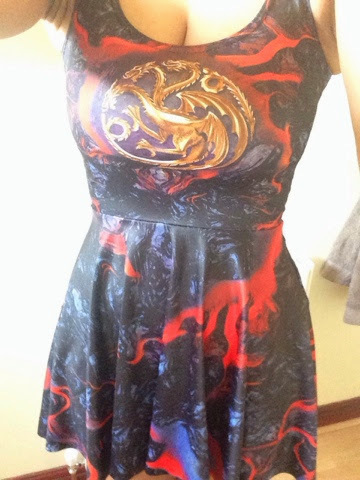 The dress comes in a really nice black bag, it feels sooo soft and it has cool instructions for washing oh and I forgot to mention I got the game of thrones themed dress! !